Lets see those who Rep #SocialLender. ₦5,000, ₦3,000, and ₦2,000 respectively. 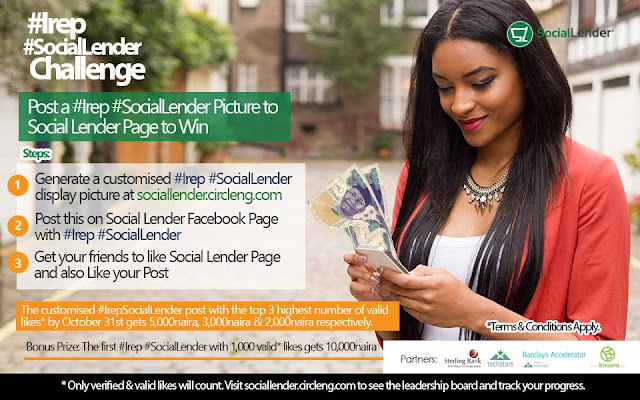 * Only friends who like both your picture and the #Sociallender facebook page would count as valid. Visit www.Sociallender.circleng.com and login with your facebook account to see the leadership board and track your progress. Social fascism was a theory supported by the Communist International (Comintern) during the early 1930s, which held that social democracy was a variant of fascism because, in addition to a shared corporatist economic model, it stood in the way of a complete and final transition to communism. At the time, the leaders of the Comintern, such as Joseph Stalin and Rajani Palme Dutt, argued that capitalist society had entered the "Third Period" in which a working class revolution was imminent, but could be prevented by social democrats and other "fascist" forces. The term "social fascist" was used pejoratively to describe social democratic parties, anti-Comintern and progressive socialist parties, and dissenters within Comintern affiliates throughout the interwar period.